I have a sweet tooth. There is no question about that. And sweets have always been my weakness when it comes to healthy snacking. So, I went on a mission to create a few smoothie recipes that taste like some of my favorite sweet treats. 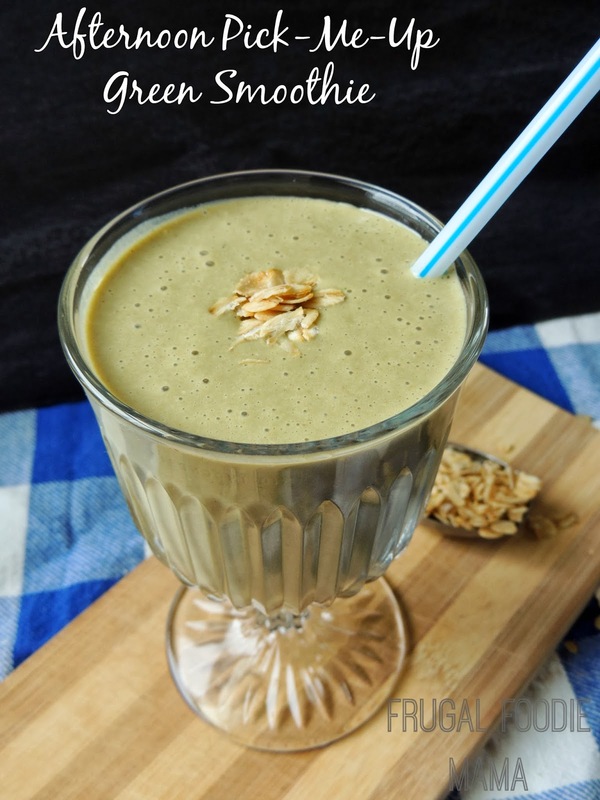 The idea for this Oatmeal "Raisin" Cookie Green Smoothie came to me after I had tried a sip of my daughter's prune juice. The first thing that came to mind was how much it tasted like raisins to me. Hmmmmm... raisins. How could I use this prune juice in a green smoothie? 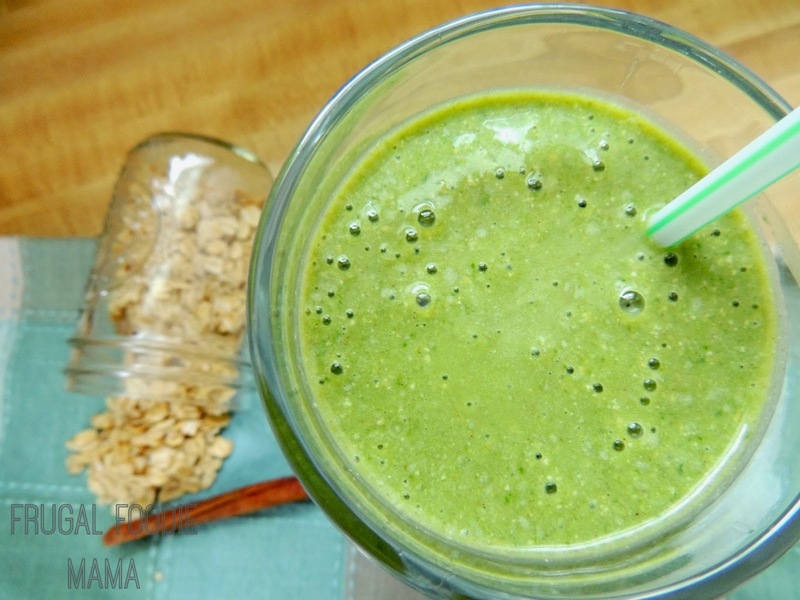 Honestly, I am not a huge fan of raisins, but I do like a good oatmeal raisin cookie... so the wheels started spinning and this Oatmeal "Raisin" Cookie Green Smoothie was concocted and taste-tested. 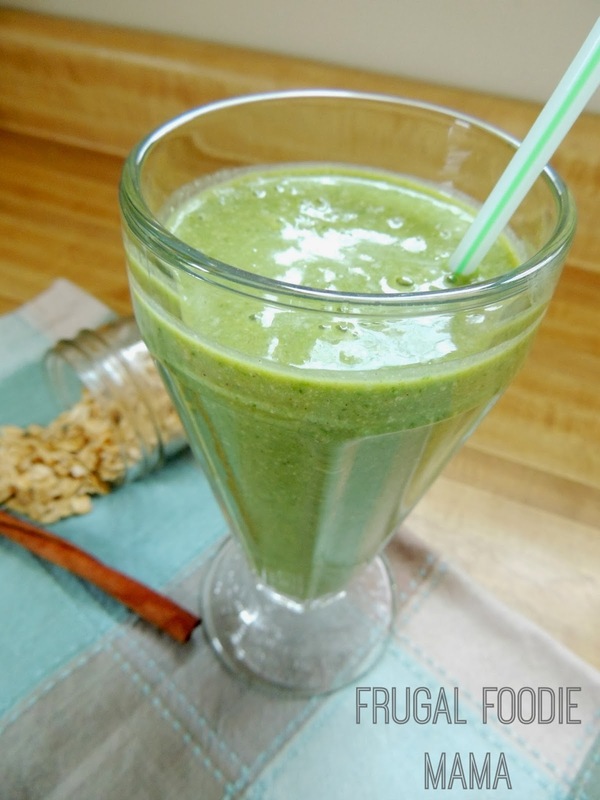 Add all ingredients to your blender and blend until smooth and creamy. Pour into a cup or pop a straw into your blender cup. I make a green smoothie almost every afternoon as a healthy snack, and my 2 year old daughter always shares it with me. She loves them, and I feel good knowing that both her and I are getting some added nutrients from fresh fruit and leafy greens every day. 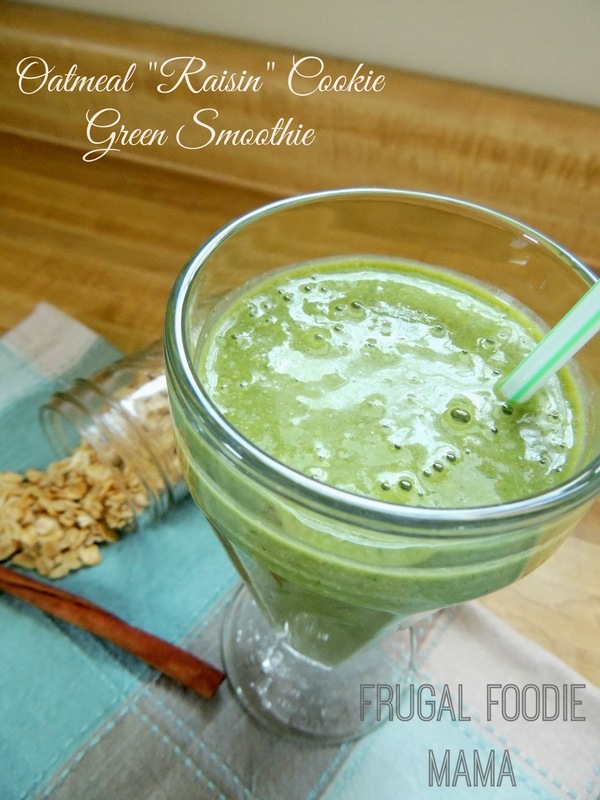 This is just the first of many green smoothie recipes coming to the blog this week for Green Smoothie Week, so stay tuned friends. 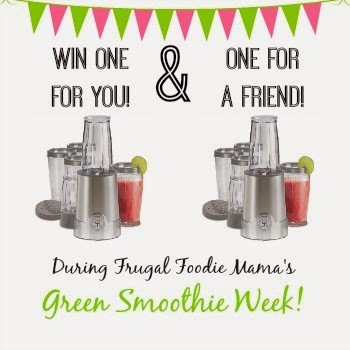 In the meantime, be sure you click on over to get entered to win two of my favorite smoothie blender- one for you and one for friend! Plus, there is a printable shopping and prep list in the giveaway post with everything you need to do and have on hand for this week's green smoothie recipes!